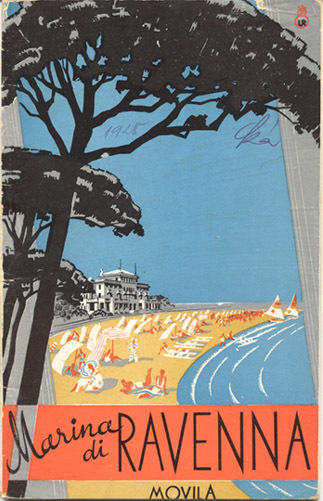 Travel brochure for the Marina di Ravenna, 1932. Published by "Movila," a Czech travel agency in Prague. Artist unknown. Front cover.